When they discover Celtic spirituality, many Christians feel that in some sense they have come home. As they begin to explore the people and places significant in the early centuries of Christianity in the British Isles, they find an expression of faith that weaves together strands of being and belonging, worship and witness in a unique and powerful way. 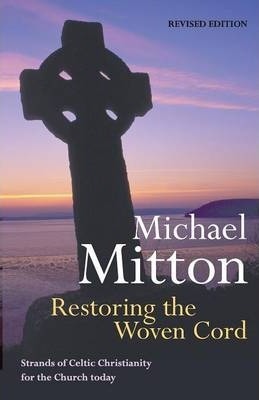 Restoring the Woven Cord takes 15 leading figures from that era - ranging from Patrick of Ireland to John of Beverley - and shares something of their stories, showing their burning love for the Bible, their depth of prayer, their radical commitment to the poor and to caring for creation. Reflecting on their lives and works, we can find powerful inspiration for our own walk with God and rich resources for the ministry of the local church. This is a revised edition of a best-selling book first published in 1995. It now includes insights on the continuing popularity and development of Celtic spirituality from Ray Simpson of the Community of Aiden and Hilda, Lindisfarne, Jack Stapleton of the USA branch of the Community, Bishop Eric Pike of South Africa and Liz Hoare, Tutor in Prayer, Mission and Spirituality at Wycliffe Hall, Oxford.